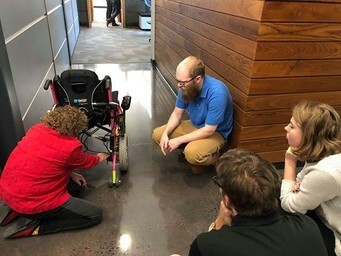 In the fall of 2018, Robin Brunnquell wheeled into Markforged partner GSC's office on a mission. She knew she needed stronger, customizable parts printed to drastically improve the functionality lacking in her assistive chair. A long-time colleague and friend of Dave and Kim Kasinskas (GSC President and CEO; CFO), she knew that GSC had the creative resources to help. With the recent partnership between GSC and Markforged, it only became a matter of time before her innovative ideas turned into reality. 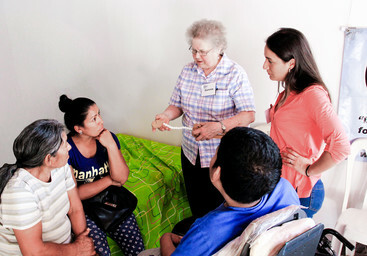 Robin has complex medical and mobility needs, stemming from respiratory issues and neuromuscular dysfunction. Her chair in its former state lacked important assistive features. She needed her chair to be compact, portable, and weather-resistant. A chair that could easily carry a ventilator, its battery supply, and other emergency supplies. While there were resale parts on the market, Robin quickly found that they were weak and inconvenient to modify, especially when customizing an existing chair. Through her designs and the use of Markforged’s intensely strong, easily customizable parts, she could confidently build her vision. 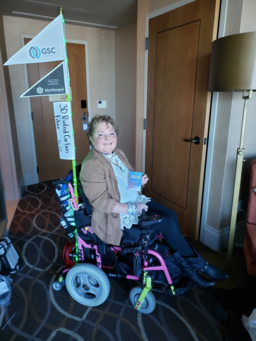 However, her later progress and prototyping of an advanced seat for her mobility Segway earned her a year of free SOLIDWORKS 3D CAD and SOLIDWORKS Composer through SOLIDWORKS’ Entrepreneurial Program. The same program would later allow her to cross off a bucket list item: attending SOLIDWORKS World for the first time this past February. 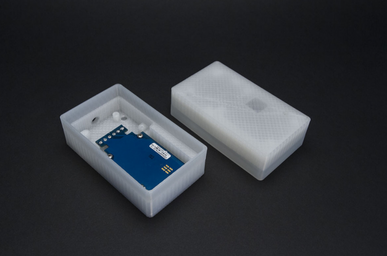 a weather-resistant, closeable battery box. 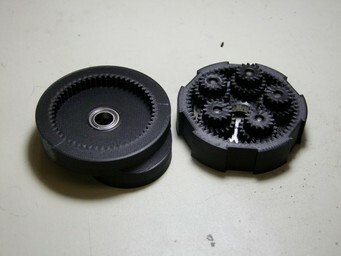 Many of the parts were made of Onyx. Choosing Kevlar® reinforcement for the ventilator mount bracket ensured the part would hold 30 lbs over rough terrain. “We used heat set inserts and Kevlar® to give the bracket enough strength to handle the loading and impacts without the bolts pulling through the part,” Niedermann explained. Robin (left) describing modifications for chair improvements with GSC’s 3D printing team. Robin’s medical history has impacted much of her work when constructing assistive devices. In 2007, after having difficulty breathing, she was treated for asthma with a steroid that would cause further complications. She had sudden tracheomalacia, or airway collapse. Prednisone steroid treatment had caused avascular necrosis, or bone death. She then contracted Methicillin-Resistant Staphylococcus Aureus (MRSA), a bacterium often leading to complicated infections and more bone deterioration for Robin. Following both hip and shoulder replacements, a fall in 2013 meant a broken back and pelvis. Robin relays this information endearingly, quoting Plato, “Necessity…is the mother of invention." 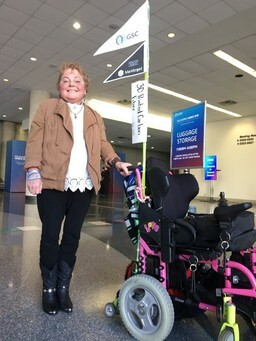 With plans to add even more custom parts to her chair, and to expand affordable, reliable assistive devices to others living with disabilities, Robin’s efforts as an inventor and advocate are far from over. In fact, with additive tech at her fingertips, she is just getting started. Robin Brunnquell is a medical designer, inventor, and the owner and CEO of Hatikvah Health, LLC. She received her Bachelor of Science in Nursing (BSN) from the University of Wisconsin-Milwaukee in 1980, and attended Moraine Technical College Park from 2010-2013 to learn SOLIDWORKS. Connect with Robin. Learn more about Markforged printers and materials. What’s the Markforged difference? 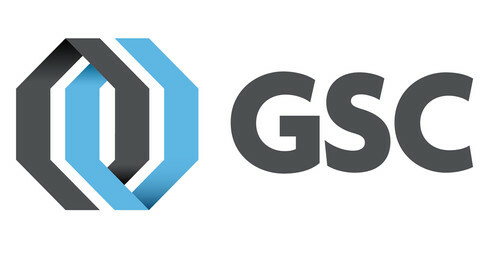 Learn more about GSC and our 3D printing team. View more about Robin and her experience with the Kiva medical procedure. Charles Guan experiments with his Mark Two to create a neat 3D printed mechanism - a kinematic flywheel flipper for a small combat robot.